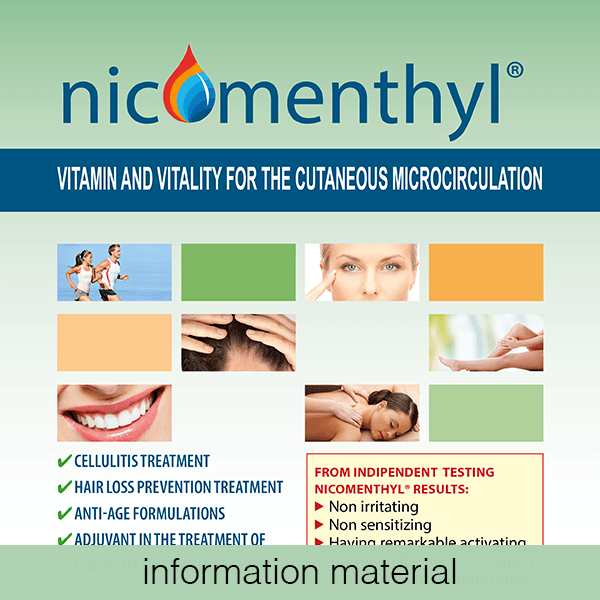 Nicomenthyl (menthyl nicotinate): the unique multi-functional sensorial active. High transdermal delivery of Vitamin B3 (Niacin). Ideal for all topical applications aiming at skin DETOX and REPAIR, ANTIPOLLUTION and microcirculation enhancement.